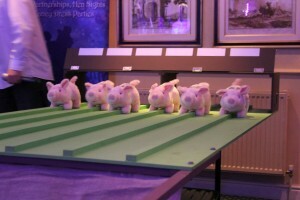 Pig Racing – Now available to book as part of your celebration entertainment. 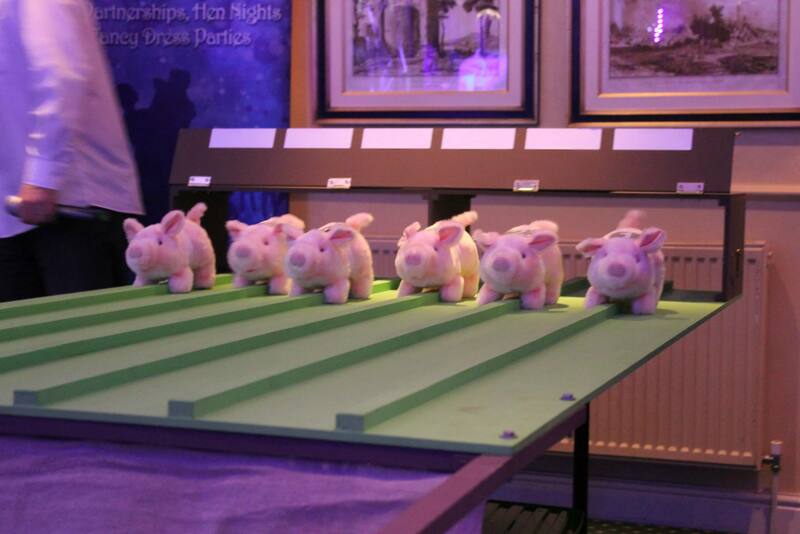 Wach your guests or customers ‘scream & shout’ at our battery operated pigs, as they snort, grunt and waddle down our pig-racing track. Great to liven up the early part of a celebration, perfect for charities & organisations fundraising or for corporate events. 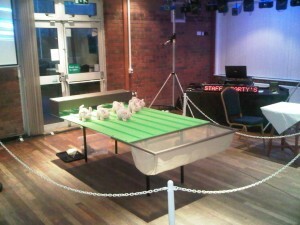 Pig Racing can be played for ‘real’ money or just for fun and is fantastic entertainment for all ages. 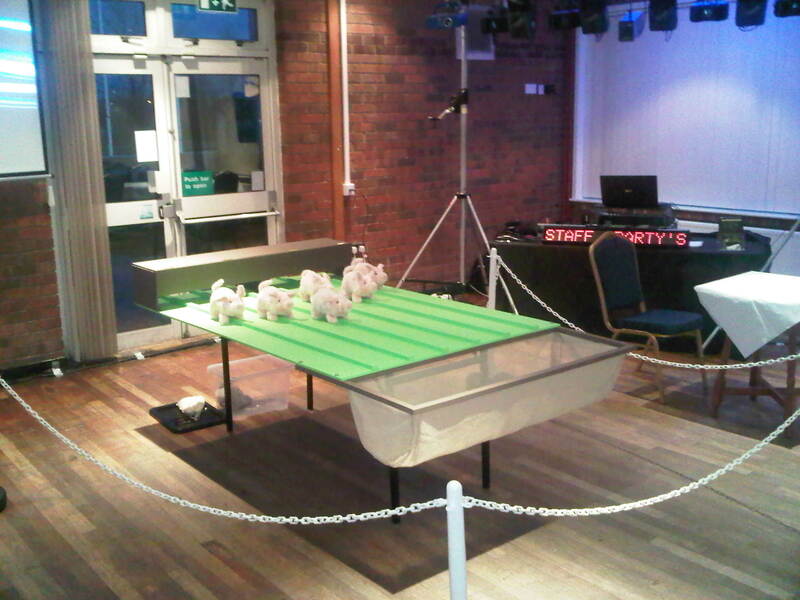 Guests can ‘sponsor’ a pig, ‘sponsor’ a race or can place a ‘bet’ on a pig to win tokens or £££’s. We can supply everything needed including PA System, Compere/Host, Disco lights and prizes. Call us for availability and prices for this hilarious add-on!